Michael H. Tirgan, MD is a medical oncologist who specializes in the treatment and clinical research of keloid disorder. Since 2008, Dr. Tirgan has focused his medical practice on the non-surgical treatment of keloid disorder and has treated over 12,00 keloid patients, adults, and children, with all types of keloids. In 2011, Dr. Tirgan established Keloid Research Foundation, a non-profit medical research, and educational organization, with the mission of fostering scientific research in keloid disorder and promoting education, advocacy, and service to those who suffer from this disorder. He is the main organizer of Keloid Symposium and an advocate of international collaboration among all clinicians and scientists who have an interest in clinical or laboratory research of keloid disorder. He has been an invited speaker to several international meetings and has presented his clinical research and outcome results as well as treatment strategy for managing keloid patients. In 2016, Dr. Tirgan designed and published the very first Keloid Staging System that allows for fair comparison of outcome results of randomized keloid trials. 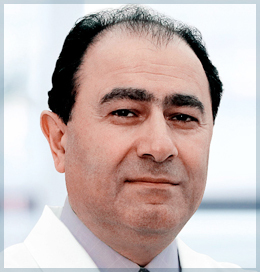 He is an advocate of data-driven clinical management of patients with keloid disorder as opposed to commonly practiced physician expert-driven treatment pathways. He is the principal investigator of three ongoing keloid studies. In November 2016, Dr. Tirgan established the International Journal of Keloid Research, the only journal that is solely focused on clinical and laboratory research of keloid disorder. Dr. Tirgan is an attending physician at Mount Sinai St. Luke’s and Roosevelt Hospitals, and an associate attending physician at The Rockefeller University Hospital in New York. He is also a clinical instructor at the Icahn School of Medicine at Mount Sinai.